The Washington Court of Appeals recently addressed what constitutes a “reasonable” accommodation. Frisino v. Seattle School Dist. No. 1. Ms. Frisino, a teacher, took a leave of absence because of her sensitivity to airborne irritants in the classroom. The parties agreed Ms. Frisino had a disability, and the district took several steps to accommodate her — such as remediating the classroom to remove the mold. The Court of Appeals held that an issue of fact existed concerning whether the district’s efforts constituted a “reasonable accommodation” because of evidence suggesting those efforts were not effective in removing the airborne irritants. For example, Ms. Frisino testified that she visited the “clean” classroom and thought airborne mold spores might not be contained by plastic she saw taped over a hole where ceiling tiles had been removed. The Court of Appeals reasoned that the term “reasonable” accommodation means an accommodation that is effective in removing the workplace barrier that is preventing the employee from returning to work. The United States Supreme Court takes a different view. 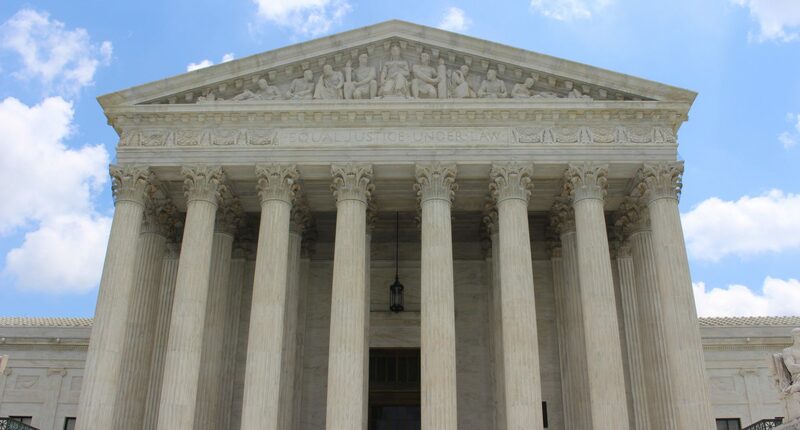 In US Air v. Barnett, the Supreme Court held that, under the ADA, the tern “accommodation,” not “reasonable,” encompasses whether a workplace modification is effective. The term “reasonable,” the Supreme Court reasoned means well . . . “reasonable.” So much for clarification. The primary significance of the how the terms are defined is what the employee and employer have to prove if a lawsuit is filed. From a practical standpoint, Frisino provides provides little clarification for employers on what exactly is a “reasonable accommodation.” But whatever its exact meaning, the case makes clear that courts will carefully scrutinize not only whether an employer took steps to try to accommodate an employee with a disability, but whether those steps were actually effective in removing workplace barriers. The EEOC as finally released the new ADAAA regulations to the public. You can get a copy of the new regulations here. The regulations will be published in the Federal Register on Friday. An impairment is a disability within the meaning of this section if it substantially limits the ability of an individual to perform a major life activity as compared to most people in the general population. An impairment need not prevent, or significantly or severely restrict, the individual from performing a major life activity in order to be considered substantially limiting. Nonetheless, not every impairment will constitute a disability within the meaning of this section. The primary object of attention in cases brought under the ADA should be whether covered entities have complied with their obligations and whether discrimination has occurred, not whether an individual’s impairment substantially limits a major life activity. Accordingly, the threshold issue of whether an impairment “substantially limits” a major life activity should not demand extensive analysis. The determination of whether an impairment substantially limits a major life activity requires an individualized assessment. However, in making this assessment, the term “substantially limits” shall be interpreted and applied to require a degree of functional limitation that is lower than the standard for “substantially limits” applied prior to the ADAAA. The comparison of an individual’s performance of a major life activity to the performance of the same major life activity by most people in the general population usually will not require scientific, medical, or statistical analysis. Nothing in this paragraph is intended, however, to prohibit the presentation of scientific, medical, or statistical evidence to make such a comparison where appropriate. The determination of whether an impairment substantially limits a major life activity shall be made without regard to the ameliorative effects of mitigating measures. However, the ameliorative effects of ordinary eyeglasses or contact lenses shall be considered in determining whether an impairment substantially limits a major life activity. An impairment that substantially limits one major life activity need not substantially limit other major life activities in order to be considered a substantially limiting impairment. The six-month “transitory” part of the “transitory and minor” exception to “regarded as” coverage in § 1630.15(f) does not apply to the definition of “disability” under paragraphs (g)(1)(i) (the “actual disability” prong) or (g)(1)(ii) (the “record of” prong) of this section. The effects of an impairment lasting or expected to last fewer than six months can be substantially limiting within the meaning of this section. The ADA applies to all employers with least 15 employees. Washington employers who have at least 8 employees must analyze disability issues under Washington’s Law Against Discrimination, as well as under the ADA if they have at least 15 employees, which has a definition of disability different from that under the ADA. Two recent cases show that employers must consider accommodating employees with disabilities affecting the ability to commute. … we hold as a matter of law that changing Colwell’s working schedule to day shifts in order to alleviate her disability-related difficulties in getting to work is a type of accommodation that the ADA contemplates. On July 21st, the Ninth Circuit Court of Appeals reached the same result in a similar case. In Livingston v. Fred Meyer Stores, a wine steward with a vision impairment that affected her ability to see after dark asked for a modified schedule during the fall and winter to minimize after dark driving. She was discharged after she refused to work her scheduled late shift. Following Colwell, the Ninth Circuit said that an employer has a duty to accommodate an employee’s limitations that affect the ability to get to and from work. These cases make clear that employers should consider modifying an employee’s schedule when a disability is affecting the employee’s ability to commute. Just how far the duty to accommodate commuting issues extends, though, is unclear. For example, what if an employer has multiple locations in an area and the employee has a long commute. Must the employer consider transferring the employee to a location closer to home if the employee has an impairment that limits the amount of time that can be spent driving? Does it matter if there is public transportation the employee could use? We will have to wait for other cases to understand the full scope of an employer’s duty. For now, employers faced with accommodation requests concerning commuting should consider whether the accommodation is a reasonable one and whether providing it would cause the employer an undue hardship.